After the historical Obergefell vs. Hodges decision of the US Supreme Court one thing is abundantly clear: The tide has turned for the public status of Christianity and Judaism in the US. A new powerful tool has been created that will not be left unused by the Obama administration to pursue its diabolical agenda of destroying the Judeo-Christian foundations of Western civilization. The long-term consequences of this decision seem ominous enough. Jews and Christians upholding traditional biblical values about marriage and sexual morality will face public vilification, and their organizations loss of government’s grants and religious tax exemptions. The LBGT movement has given enough signs that it is of a neo-fascist totalitarian mindset, determined to destroy the rights of traditional religious minorities in the name of ‘respect’ for their perverted lifestyle. My prediction is that within this generation Orthodox Jews will have to leave America and that traditional Christianity will face serious persecution. If things really go wrong they’ll become economic and social outlaws and be treated like racists, no longer tolerated in any ‘decent’ setting or company. 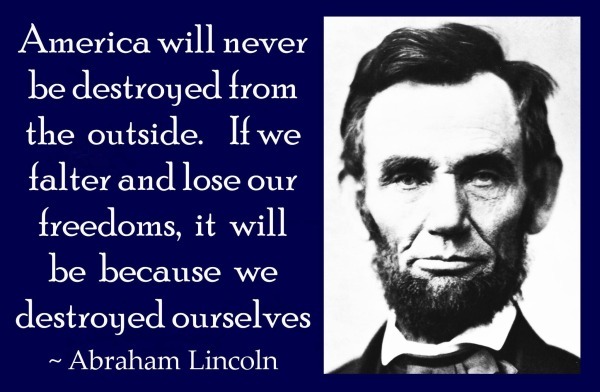 The often heard opinion that the constitutional liberties and protections for these groups will stay, independent of the general mindset of the majority of the population isn’t plausible. These liberties can only exist in the context of a democratic culture dominated by the Judeo-Christian heritage. When this heritage loses its dominance, the days of tolerance will be gone. A curious coincidence is that while the LBGT activists and the US Supreme Court were busy to catastrophically redefine marriage the official leader of Western Christianity, the Pope, looked away from waging the cultural battle and was finishing and promoting his Encyclical on climate change. One wonders whether the combat against against air polution is more important now for Church leaders than the spiritual warfare “against the prince of the power of the air, the spirit that worketh in the children of disobedience”? Whatever may be the reason for this dereliction of duty, the Pope has missed an excellent occasion to give a dire warning to the destroyers of Catholicism and biblical morality. This reminds us of the fact that an important aspect of the LBGT victories is that the traditional leaders of Christianity — such as the Pope and the Bishop of Canterbury — seem to have almost completely lost their courage and stamina. They fear public opinion more than the verdict of Heaven and have become politically correct weazels. This doesn’t bode well. The distinction between the Lord’s Supper (or Eucharist) and the Passover Seder is of theological significance. These two meals should not be identified, because they have a different function and meaning. The Passover Seder is a national celebration of all Israel; the Supper of the Lord is an exclusive celebration of Yeshua’s Assembly, his mystical body. The Passover Seder is basically tied to the Temple. Its main ingredient is the Passover lamb or Korban Pesach, which can only lawfully be eaten within the boundaries of Jerusalem in a state of levitical purity; the Supper of Yeshua requires no Levitical purity and can be held anywhere. The Passover is held only once a year. The lamb is to be slaughtered on the 14th of Nisan shortly before sundown and it is to be consumed in the night immediately following. The Lord’s Supper is not tied to particular dates. The Passover Seder is celebrated since its establishment in Egypt until the end of the world, as an everlasting statute of HaShem. The Lord’s Supper is celebrated since its establishment in the night when Yeshua was betrayed (I Cor. 11:23) until the day of his Second Coming (I Cor. 11:26). In the Kingdom of the Millennium this Supper will no longer be observed, the Passover Seder, however, will. It will be fully restored, and the Passover lambs will again be slaughtered in the Temple court (cf. Ez. 45:21). 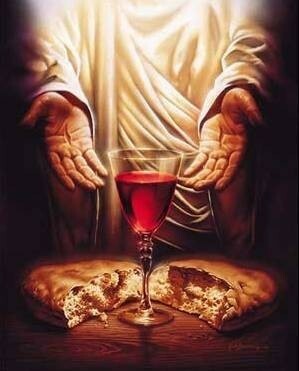 The Lord’s Supper or Eucharist is thus a distinctive celebration of the Assembly of Messiah, the mystical body. National Israel as a whole is never called the Body of Messiah. Some messianic congregations have the custom to commemorate the institution of the Lord’s Supper, which is also called Eucharist (i.e. thanksgiving), on the evening of Bedikat Chametz, which starts on 14 Nisan — or 13 Nisan, if the 14th falls on a Shabbat. This is the evening prior to the Seder. Others celebrate the institution of this Supper at the Passover Seder. Although choosing between these two liturgical and calendrical options may seem complicated, because there’s an ongoing scholarly debate on the question whether the Last Supper was a Passover Seder or not, yet I think that the problem of the commemoration of its institution can be easily solved if one considers the liturgical context of Passover, the feast of the Unleavened Bread (Chag HaMazot) and the Omer count. While the custom to celebrate the institution of the Lord’s Supper isn’t based on a direct commandment of Yeshua or the Apostles, it well fits in the entire observance of Passover, and the memorial of our Lord’s death and resurrection which is closely connected to it. On the 10th of Nisan — or the 11th if the 10th happens to be a Shabbat — we remember Yeshua’s entry into Jerusalem by waiving palm branches during Shacharit. A few days later follows the evening of Bedikat Chametz, which is full of deep messianic symbolism. 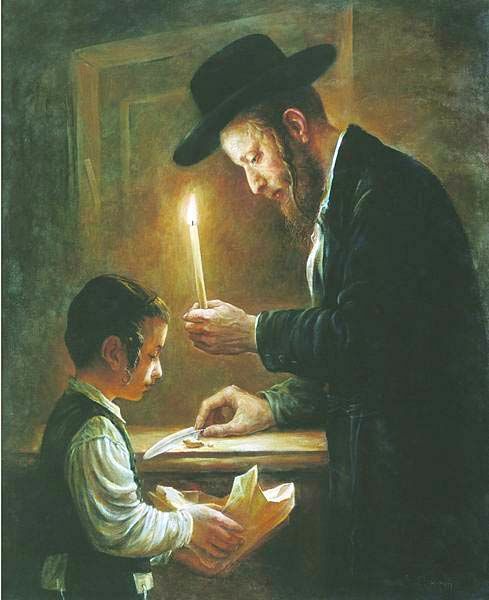 At the beginning of halachic ‘night’, we search for chametz by the light of a candle (symbol of the Torah or the word of G’d). We wipe the last crumbs with a dove’s feather (symbol of the Holy Spirit (Ruach HaKodesh)) on a wooden spoon (symbol of the Cross), binding them together in a linen cloth (symbolizing Yeshua’s priesthood) and set it aside for the ceremonial burning of chametz (Biur Chametz), the next morning. It seems thus very fitting and reasonable to celebrate the institution of the Supper of Yeshua during or after the Maariv service of this evening. The next morning, after Shacharit, the collected chametz from the previous night is burned (Biur Chametz, symbol of the crucifixion). The commemoration of Yeshua’s passion, death and burial are concluded with the Minchah service of that same day. Shortly thereafter the solemn celebration of Passover starts with Kabbalat Yom Tov and the Maariv service, which anticipate the Seder. During the Seder Messiah’s death and passion are mainly considered or remembered for their redemptive results or effects. This short outline shows that the celebration of the institution of Yeshua’s Supper fits entirely into the observances immediately preceding and anticipating the Passover Seder. The remembrance of Yeshua’s resurrection is closely connected to this liturgical schedule and starts with an extended Havdalah ceremony after the weekly Shabbat of the Passover week. The day of the resurrection thus always falls on the first Sunday after the 14th of Nisan. That day is the starting point of the Omer count, which lasts until the Feast of Weeks (Shavuot) and marks a festive period of fifty consecutive days. By reason of these considerations the commemoration of the Last Supper should be properly distinguished from the Seder. It simply doesn’t fit liturgically to celebrate its institution during the Seder night, and this is an important indication that it wasn’t instituted in that night, but probably in the night preceding. This in accordance with the chronology of the Gospel of John, which says that Yeshua was crucified on the Preparation Day of the Passover, the day the Passover lambs were slaughtered. Congregations which celebrate the institution of the Lord’s Supper at the Passover Seder face the awkward consequence that they have to commemorate Yeshua’s passion and death on 15 Nisan, the feast day of the Unleavened Bread. Doing so, however, heavily conflicts with the mood of this day, which celebrates the Exodus from Egypt and thus the end of Israel’s sufferings. This is an important reason why it should also liturgically mark the end of Messiah’s sufferings. It should be considered incompatible with its atmosphere to commemorate Yeshua’s suffering and death during the Shacharit and Minchah services of the feast day itself. A feast day is not a proper occasion to display a mood of mourning or affliction (cf. Nehemiah 8:9). If you want to keep up your good spirits in the midst of all the hurry of preparing for Passover and learn how to clean and kasher in an efficient manner, view the following video from The Jewish Press. It is fun. Het bidden in de richting van Jeruzalem beschouw ik als een bijbelse verplichting, die ook in acht genomen moet worden als een messiasbelijdende gemeente nog geen functionerende synagoge met Arke en Bimah heeft, of als iemand de dienst alleen thuis bidt. Deze praktijk heeft duidelijke bijbelse grondslagen en is geworteld in de Torah zelf. Een eerste manifestatie ervan vinden we in Ex. 33:8-10. Hier zien we dat het heiligdom als plaats van de goddelijke aanwezigheid eer bewezen wordt. Wanneer de Tempel wordt gebouwd en ingewijd, zien we dat koning Salomo het als een vanzelfsprekendheid beschouwt dat ook in omstandigheden waarin men niet in de Tempel kan bidden, men althans bidt “in de richting van deze stad die Gij verkoren hebt, en van het huis dat ik voor uw naam gebouwd heb” (II Kronieken 6:34). Profetisch breidt Salomo dit uit tot de situatie van een toekomstige ballingschap (in II Kr. 6:38). Tijdens de babylonische ballingschap nam de profeet Daniel deze gebedsrichting zelfs in acht toen het heiligdom verwoest was (zie Daniel 6:11). Want de plaats waar de Tempel stond had zijn intrinsieke heiligheid niet verloren. Het was de plaats waaraan HaSjeem zijn aanwezigheid verbonden had en waar de Tempel eens herbouwd zou worden. Wat dit betreft verschilt onze situatie niet van die van de Israelieten in de babylonische ballingschap, of van de Joden na de verwoesting van de tweede Tempel. Ook wij verwachten de herbouw van de Tempel, en bovendien de terugkeer van Jesjoea. De Wederkomst zal plaatsvinden te Jerusalem, op de Olijfberg. Het spreekt daarom min of meer vanzelf dat gelovigen in Jesjoea de orientatie van de gebedsrichting, zoals deze in het Jodendom bestaat, in acht nemen. De orientatie van de gebedsrichting op Jeruzalem leidt vanzelfsprekend tot dezelfde orientatie van ook de gebouwen die nu onze gebedshuizen zijn, de synagoges. De synagoge is, op een weliswaar beperkte manier en als een ‘klein heiligdom’, een weerspiegeling van de aardse Tempel, zoals de aardse Tempel op zijn beurt een weerspiegeling is van de hemelse Tempel. Daarom hoort zowel de orientatie van de synagoge als de indeling ervan en de plaats en diversiteit van degenen die deelnemen aan de eredienst — zoals mannen, vrouwen, rabbijnen, oudsten en andere ambtsdragers — tijdens de dienst in overeenstemming te zijn met hun functie in de gemeente. In het bijzonder volgt hieruit dat degene die voorgaat tijdens de dienst (de Chazzan) zich dus niet moet opstellen tegenover de gemeente, d.w.z. met het aangezicht naar de gemeente gekeerd. De voorganger hoort tijdens de dienst met de rug naar de gemeente te staan, in de richting van de heilige Arke, die een afbeelding is van het Allerheiligste. Door deze opstelling wordt het theocentrische karakter van de dienst uitgedrukt en de blijvende betrekking op de Tempel. In een traditionele synagoge staat de voorganger in de tussenruimte tussen de Bimah en de Arke, dus met zijn rug naar de Bimah en zijn aangezicht naar de Arke. Ook de Torahlezing, die op de Bimah plaatsvindt, geschiedt in de richting van de Arke. Er wordt dus voorgelezen met de rug naar de gemeente en het aangezicht naar de Arke. De enige uitzondering hierop is de derasja of prediking. In een dienst waarin een predikatie plaatsvindt, keert de rabbijn of degene die de predikatie verricht zich naar de gemeente. Als een plaatselijke gemeente zich deze algemene beginselen van decorum en orde tijdens de dienst eigen gemaakt heeft, zal het veel gemakkelijker zijn voor de leiding om ook de overige vereisten van de bijbelse etiquette, bijvoorbeeld voor hoofdbedekking en/of haarbedekking, te handhaven. Het gaat dan niet enkel om het geisoleerde punt van een hoofdoekje of een bepaald type haardracht voor de vrouwen en een hoed of keppel voor de mannen, maar om een algemeen iets dat de verschillende rollen en functies binnen de gemeente raakt. Er bestaat dan ook veel minder gevaar voor allerlei onoirbare moderne fratsen — zoals vrouwen die een talliet of keppel willen dragen en daarmee het onderscheid tussen mannen en vrouwen willen verdoezelen. Wanneer de rollen en functies van iedereen, ook de onderscheiden tussen de leidinggevenden en de andere gemeenteleden, duidelijk zijn en duidelijk gehandhaafd worden, heeft iedere groep zijn eigen eer en identiteit. Veel ergernis en onnodige discussie op dit gebied kan voorkomen kan worden indien de leiding slechts een ferm standpunt inneemt en vooral het onderscheid in zitplaatsen voor mannen en vrouwen handhaaft. Een synogoge is nu eenmaal geen huiskamer en een dienst is geen familie-bijeenkomst. Een van de moeilijkheden bij het wennen aan de synagogale dienst is dat veel Messianics afkomstig zijn uit evangelicale of protestantse groepen en denominaties met maar een zeer rudimentair liturgisch en ritueel leven. In het Protestantisme is de cultus vrijwel vervangen door een soort leer- of predik-dienst, wat vanuit joods perspectief een misvatting is. Leren of studeren doe je weliswaar óók in sjoel, maar niet primair tijdens de dienst. De rabbinale preek of derasja heeft dan ook lang niet altijd een sterk leergehalte en is meestal maar kort. Bovendien wordt ook niet in alle orthodoxe gemeenten regelmatig gepreekt. In sommige synagoges, zo heb ik mij laten vertellen, is dit alleen gebruikelijk in verband met instructies voor naderende feestdagen, zoals Pesach en de Hoge Feestdagen. Het reciteren van de Torah tijdens de diensten heeft primair een cultische strekking en geschiedt daarom, net als de gebeden, georiënteerd op Jeruzalem. Messianics die vroeger traditoneel of conservatief katholiek geweest zijn, hebben dit merkwaardigerwijze veel beter in de gaten dan Protestanten. Zij gingen naar de Mis waar de priester celebreerde met de rug naar het volk en gekeerd naar het altaar, zoals de Chazzan gekeerd staat naar de Arke. Ongetwijfeld is dit katholieke gebruik uit het vroegere joodse ontstaan, net zoals de G’dslamp in de katholieke kerk is ontstaan uit het eeuwige licht (Ner Tamid) dat voor de Arke hangt. Vanuit dit cultische perspectief is de protestantse wijze van doen beslist een achteruitgang en een teken van secularisatie. Hier staat de instructie van de gelovigen centraal in plaats van het vereren van G’d. Niet dat ik wil zeggen dat die instructie onbelangrijk is, maar zij moet niet worden verward met het uitvoeren van een cultische dienst. In de Tempel was er zelfs helemaal geen preekgestoelte. Wie heden ten dage een messiaanse dienst bezoekt treft meestal een liturgische opstelling aan die noch tradioneel protestants, noch traditioneel joods is, en die welbeschouwd niet eens liturgisch functioneel is, maar typisch uit de evangelicale wereld stamt, waar men met alle oude kerkelijke en synagogale tradities gebroken heeft. Een ‘worship-team’, zoals het genoemd wordt, staat op een verhoging of podium vóórin, met allerlei muziekinstrumenten, en leidt de dienst, en de gemeente vult eenvoudig de zaal zonder enige indeling in mannen en vrouwen — of anderzins volgens liturgische normen en functies. Dit is een opstelling die stamt uit de wereld van het theater en het entertainment en niets met liturgie en eredienst uitstaande heeft. Veel Messianics hebben hier echter geen enkele moeite mee en argumenteren rondweg dat de oude katholieke christelijke traditie óf verkeerd óf althans niet gezaghebbend en dus irrelevant is. Zij zijn hierin echter slachtoffer van een groot misverstand en hebben volstrekt niet door dat veel oude liturgische principes nu juist uit het Jodendom stammen, en dat men in dit opzicht meer kan leren van het oude katholieke verleden dan van het evangelicale Christendom dat uit de XIXde eeuw stamt. Ze hebben niet door dat hun eigen terugkeer naar de Torah en de joodse levenswijze zich niet verdraagt met de evangelicale wijze van eredienst, die naar traditioneel joods liturgisch besef een vorm van ongehoorde nieuwlichterij is. Deze in de evangelicale wereld gegroeide en op het theater geënte liturgische gebruiken staan op gespannen voet met zowel de wereld van het traditionele Jodendom als die van het traditionele Christendom, en leiden ertoe dat de sfeer van eerbied en ontzag verloren gaat. In de synagoge hoort men zich eerbiedig te gedragen. In veel sjoels staat boven de Arke de spreuk: “Weet voor Wiens Aangezicht gij staat”. Die sfeer van intense devotie dient gekoesterd en beschermd te worden door de indeling van de ruimte, door kleding en haardracht overeenkomstig bijbelse normen en door een bepaalde traditionele etiquette aangaande hoe men zich in een G-dshuis gedraagt. Zoals ik reeds zei, hebben ouderwetse katholieken daar beter oog voor dan de meeste protestanten. Het gaat immers om die devotie en die eerbied: die is het doel. Niet allerlei oppervlakkig enthousiasme en moderne zgn. spontaneïteit. Op de een of andere idiote wijze is zelfs het chassidische gebruik om bij bepaalde gelegenheden te dansen opgepikt door moderne Messianics, en vervolgens totaal verhaspeld en verknipt en aan de man gebracht als zgn. ‘messianic dance’ of ‘davidic dance’ die tijdens de sjoeldienst wordt opgevoerd. Mannen en vrouwen dansen dan veelal met elkaar en door elkaar heen, wat in het licht van Bijbel uiterst bedenkelijk is en zeker geen historische wortels heeft. Dansen in de synagoge werd beslist niet gedaan in het Jodendom in de tijd van Jesjoea en de Apostelen. Ik vermeld deze dingen in verband met het vraagstuk van de gebedsrichting en de inrichting en orientatie van de synagoge omdat het een met het ander in verband staat. Dit zijn overigens allemaal dingen die men zich niet onmiddellijk eigen kan maken maar waar men bereid moet zijn om in te groeien en de tijd voor dient te nemen. Als men als messiasbelijdende gemeenschap traditionele liturgische normen en principes gaat toepassen, zal het een tijd duren vóórdat, op persoonlijk niveau, alles goed aanvoelt. Net zoals het ritme van het joodse jaar moet wennen als men uit de christelijke kalender stapt, zo moeten ook deze dingen wennen en het duurt een tijd voordat ze een hechting krijgen met het gevoelsleven. Eén van de belangrijkste dingen is hier het laten doordringen van het besef dat het in de synagogale dienst niet om subjectieve expressie gaat, maar dat de dienst een objectieve status heeft als officiële daad van het volk van G-d. In het verrichten van het openbare gebed neem ik eenvoudig mijn functie op me als lid van het volk van HaSjeem, en bid ik uitsluitend als vertegenwoordiger en deel van dit volk, van deze Gemeente, zonder eigen inbreng. Dit is óók het geval als ik het gebed alléén verricht, bijvoorbeeld op doordeweekse dagen. Het gaat daarbij niet in de eerste plaats om mijn persoonlijke intenties en devoties, maar om de inschakeling van deze laatste in de objectieve gebedsintentie van de Gemeente, het Lichaam van de Messias. Daarom is het gebed en het synagoge-ritueel vastgelegd in liturgische rubrieken, zodat het niet ten offer valt aan de willekeur van het individu. Het Lichaam van de Messias is immers het objectieve instrument dat de Messias in deze wereld heeft. De liturgie dient dit te weerspiegelen en uit te drukken. De dienst hier op aarde is daarom steeds een participatie aan en een uitwerking van de dienst die de Messias zelf als Hoofd van de Gemeente in het hemels heiligdom uitvoert. Zij is een werk van de Messias zelf. Een daaraan gerelateerd belang van de objectiviteit van traditie en continuïteit is bovendien dat deze op de duur allerlei slordige, ondoordachte, of ook overdreven trekken in onze persoonlijke devotie uitzuivert en ons leidt ons uit de sfeer van eigenbelang en persoonlijke preoccupaties. De staande joodse traditie is naar mijn opvatting hier steeds de default optie. Niet in de zin dat zij de enig zaligmakend is — de H.Schrift is en blijft de hoogste gezagsinstantie — maar in de zin dat zij de eerste halachische en praktische optie is omdat zij een lange ervaring in zich bergt. Alternatieven verstrikken zich hier vaker dan men denkt in halachische fouten die dan later weer gecorrigeerd moeten worden. Bovendien, wat is de status van een alternatief als dit iets is wat iemand zomaar op een ogenblik bedacht heeft? Wat voor geestelijk gehalte heeft zo’n bedenksel en waarom zouden anderen er acht op slaan en zich voegen naar zo’n subjectief inzicht in plaats van bij de continuiteit van een grote traditie te rade te gaan? Praying toward Jerusalem I consider to be a biblical obligation for a Messianic congregation, even in a case when it is without a functioning synagogue with Ark and Bimah, and even if a person says the service alone at home. This practice has clear biblical principles and is rooted in the Torah itself. The first manifestation of it is found in Ex. 33: 8-10. And it came to pass, when Moshe went out unto the tabernacle, that all the people rose up, and stood at his tent door, and looked after Moshe, until he was gone into the tabernacle. And it came to pass, as Moshe entered into the tabernacle, the cloudy pillar descended, and stood at the door of the tabernacle, and HaShem spoke with Moshe. And all the people saw the cloudy pillar stand at the tabernacle door: and all the people rose up and worshipped, every man in his tent door. Here we see homage paid to the national Shrine as the place of the Divine Presence. When the Temple is built and dedicated, we see that King Solomon perceives it as a matter of course that even in circumstances where one is unable to pray in the Temple, one can at least pray “toward this city which thou hast chosen, and the house I have built for thy name” (II Chr. 6:34). Prophetically, he extends this to the situation of a future exile (in 6:38). During the Babylonian exile, the prophet Daniel preserved this prayer direction even when the national Shrine was destroyed (see Dan. 6:11). For the place of the Sanctuary had not lost its intrinsic holiness. It was the place to which HaShem had promised his lasting Presence and where the Temple would be rebuilt. In this respect, our situation is not much different from that of the Israelites in the Babylonian exile, or that of the Jews after the destruction of the second Temple. We too expect the rebuilding of the Temple, and in addition to this the return of Messiah Yeshua. The Second Coming will take place in Jerusalem on the Mount of Olives. Therefore, it is more or less obvious that believers in Yeshua should observe the direction of prayer, as it exists in Judaism. The orientation of prayer toward Jerusalem obviously leads to a similar orientation of the buildings which nowadays are our houses of worship, the synagogues. The synagogue is, in an admittedly limited way, a small shrine, a reflection of the earthly Temple, as the earthly Temple, in turn, is a reflection of the heavenly Temple. Hence it is convenient that the orientation of the synagogue toward Jerusalem as well as its internal layout and the collocation of the diverse groups of worshippers in it — men, women, rabbis, elders and other officers — is in agreement with their position and function in the congregation during the service. In particular it follows from the foregoing that the person who leads the service (Chazzan) shouldn’t be stationed over against the congregation, i.e. with his face turned towards them. The service leader is supposed to stand in the direction of the Holy Ark, which is an image of the Holy of Holies of the Temple. The Holy Ark is always in the direction of Jerusalem. During the service the Chazzan should thus turn his back to the congregation and his face toward the Holy Ark. By this arrangement, the theocentric nature of the service will be adequately expressed. 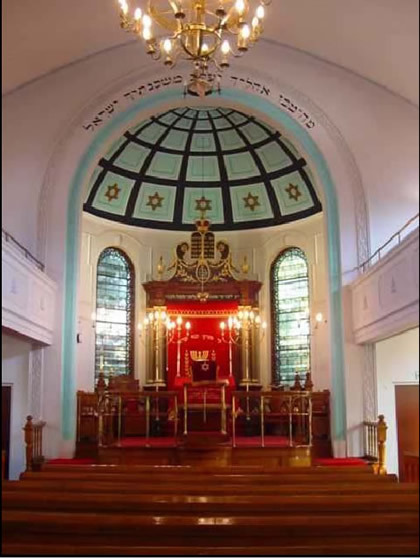 In a traditional synagogue, the Chazzan stands in the space between the Ark and the Bimah, with his back to the Bimah and his face toward the Ark. During the Torah Reading, which occurs at the Bimah, the reading too is done facing the Ark. The reader stands with his back to the congregation and faces the Ark. The only exception here is the derasha or sermon. During a sermon, the Rabbi or preacher faces the congregation. When a local congregation internalizes these general principles of decorum and order during the service, it will be much easier for the leadership to ensure that other requirements of biblical etiquette, such as headcoverings or coverings of female hair, are effectively maintained. These include not only a number of isolated matters such as proper types of hairstyle and proper haircovering for women and hats or skullcaps for men, but a general sense of what is appropriate and which touches all the different roles and functions within the congregation. There is much less danger for all kinds of improper modern cultural frills and fads — for instance women wearing a tallit or kippah — that obscure created distinctions, when the roles and functions of everyone, including the important distinction between the leadership and the other congregational members, are clearly defined and enforced. Each particular group thus has its own identity and honour. Much annoyance and unnecessary discussion about these things can be avoided if only the leadership takes a firm stance and maintains distinctive seating for men and women. A synagoge is not a living room and a liturgical service is not a family gathering. One of the difficulties in getting used to the synagogue service format for many Messianics is their Evangelical or Protestant upbringing in denominations with only a very rudimentary liturgical and ritual life. In Protestantism, the liturgy is virtually absent and replaced by a kind of teaching or preaching service, which from a Jewish perspective is a misconception. Learning and studying are part of the Shul activities, no doubt about that, but not primarily so during the divine service. The rabbinical sermon or derasha doesn’t always have a strong teaching content and is usually short. Moreover, it seems that not all Orthodox congregations have a weekly sermon on a regular basis at all. In some synagogues, so I’ve been told, sermons are only given in connection with instructions for approaching holidays, such as Passover and the High Holidays. Reciting the Torah during the service thus primarily has the function of liturgical worship and for that reason it takes place in the same manner as the prayers, oriented toward Jerusalem. Messianics from a traditonal or conservative Catholic background are far better aware of this than those who come from Protestantism. The Catholic Mass was traditionally celebrated with the priest turning his back to the people and facing the altar, which was placed against the eastern wall of the church, the same place as is reserved for the Holy Ark in a synagogue. No doubt this Catholic practice has its origin in the earlier Jewish practice, in a similar way as the altar-light in the Catholic Church arose from the Ner Tamid hanging before the curtain of the Ark. From this liturgical perspective, the Protestant way of doing things certainly marks a decline and a sign of secularization. Here the instruction of the faithful instead of the worship of G’d has become the central concern. Not that I want to say that instruction is unimportant, but it should not be confused with the execution of liturgical service. In the Temple there was no pulpit at all. Today’s visitors of a messianic service usually find themselves in a liturgical arrangement which is neither traditional Protestant nor traditional Jewish, and which, all things considered, is not even liturgically functional, but typically comes from the evangelical world, where all the old church and synagogue traditions were abolished or revolutionized. A “worship team”, as it is called, stands on a platform or stage front, with all kinds of musical instruments, and leads the service, and the congregants simply fill the venue without any division into men and women for instance — or otherwise, in accordance with liturgical norms and functions. This is an arrangement that has its origins in the world of theater and entertainment and has nothing to do with liturgy properly so called. Many Messianics have no qualms about this, however, and judge that the old Catholic Christian tradition is either wrong or non-authoritative and irrelevant. In this they are victims of a huge misunderstanding and have utterly failed to comprehend that many of these old liturgical principles stem from Judaism and that in this matter one can learn more from the ancient Catholic past than from Evangelical Christianity which dates from the XIX century. They don’t seem to realize that their own practice of returning to Torah and Jewish life is incompatible with evangelical-style worship, which to any traditional Jewish liturgical sense is a form of unheard modernism, and should be termed liturgical vandalism. The liturgical practices evolved in the evangelical world and rooted in the theater are at odds with both worlds of traditional Judaism and traditional Christianity and are conducive to loosing the atmosphere of reverence and awe. In shul we should behave reverently. In many synagogues we find above the Ark the admonition written: “Know before Whom you stand”. This admonition evokes an atmosphere of intense devotion that should be cherished and protected by the layout of the room, by clothing and hairstyles according to biblical standards and by a certain traditional etiquette regarding how one behaves in a shrine. As I said, old-fashioned Catholics often have a better eye for this than most Protestants. These things are so important because instilling devotion to and reverence for HaShem are part of the very purpose of our worship. We don’t worship in order to cultivate superficial enthusiasm and modern-style spontaneity. In some crazy way, even the Hasidic custom of dancing at certain occasions is picked up by modern Messianics. Re-packed in a totally distorted and mutilated form it is now selled as so-called “Messianic dance” or “Davidic dance” and performed during the synagogue service. Men and women dance together, often interchangeably, which in the light of Scripture and from a moral viewpoint is extremely questionable and certainly without historical Jewish roots. Dancing in the synagogue was certainly not part of Judaism in the time of Yeshua and the Apostles. I mention these things in connection with the issue of the direction of prayer and the layout and orientation of the synagogue because all these matters of style, decorum and etiquette are strongly related to one another. Naturally, these items of biblical and traditional culture cannot be fully appreciated at once. One should be able to grow in them and this takes time. When a Messianic community starts to apply traditional liturgical norms and principles, it will take some time before, on a personal level, everything feels right. Just as one has to get used to the rhythm of the Jewish year if one steps out of the Christian calendar, these things too have to get used to and it takes a while before they get a bond with the emotional life. One of the most important things here is to realize that the synagoge service is not about subjective expression. This service has an objective status as an official act of the people of G’d. In the conduct of public prayer, I simply exercise my function as a member of the people of HaShem, and I pray only as a representative and part of this people without any input of my own. This remains true if I pray alone, as is often the case for most of us on weekdays. These prayers are not primarily about my personal intentions and devotions but about their integration in the objective prayer intentions of the Assembly, the Body of Messiah. In order not to fall prey to the caprices of the individual the prayers and the synagogue rituals are recorded in liturgical rubrics. The Body of Messiah is the objective instrument of Messiah in this world and the liturgy should reflect and express this fact. Our divine service here on earth is thus a participation and an extension of the service that Messiah himself performs as the head of his Assembly in the heavenly Sanctuary. The liturgy is a work of Messiah himself. A secondary purpose of the objectivity of tradition and continuity is also to purify all kinds of sloppy, thoughtless, or exaggerated features of our personal devotion and to lead us out of the sphere of narrow self-interest and personal preoccupation. The default option here is, in my view, to follow the standing Jewish tradition. Not in the sense that it is the ‘only salvific’ one — Sacred Scripture is and remains the highest authority — but in the sense that it is the first halachic and practical option, since it harbours such a longstanding experience. Alternatives ensnare themselves more often than one is inclined to think in halachic errors, which in their turn require corrections later on. Moreover, what is the status of an alternative if it is something just conconcted at random by an individual? What spiritual content has such a concoction and why should others take heed of it and comply with this individual’s subjective understanding rather than with the continuity of a great tradition? Yom HaZikaron ceremonies in Israel are generally not perceived as religious observances, but they are part of Israel’s national and civil culture. Yet many observant Jews on this day say prayers for the souls of fallen soldiers. Although it is clear that as Messianics and as adherents to the theological position of Conditional Immortality we are unable to follow this practice, we still can recite prayers in commemoration of the fallen for the State of Israel. We can for instance observe the custom of reciting the Mourners’ Kaddish, since this doesn’t imply the notion of praying for the dead. And we can add some special commemoration prayers. The following Collects are intended as a messianic expression of our commitment to the State. They can be recited during the daily prayers of Yom HaZikaron. Their contents and formulations are in accordance with the biblical demands of not praying to or for the dead. We give thee thanks, O HaShem, our God, for all who have died that others may live, for all who endured pain that others might know joy, for all who made sacrifices that others might have plenty, for all who suffered imprisonment that others might know freedom. Turn our mourning into determination, and our determination into deed, that as men and women of the State of Israel died for peace, we all may live for peace for the sake of the Prince of Peace, even Yeshua HaMashiach our Lord. Almighty God, our Refuge and our Rock: Defend and protect the soldiers of the State of Israel who fall victim to the forces of evil, and as we remember this day those who endured depredation and death because of who they were, not because of what they had done or failed to do, give to the Armed Forces the courage to defend the State of Israel against all aggression, hatred and oppression, and to seek the dignity and well-being of all. This we beg for Yeshua the Messiah’s sake, our Saviour and Defender. O Lord God Almighty, who hath made all peoples of the earth for thy glory, to serve you in freedom and peace: Grant to thy nation, the House of Israel, a zeal for justice and the strength of forbearance, that they may use their liberty in accordance with thy gracious will; through Yeshua HaMashiach our Lord, who liveth and reigeth with thee in the unity of the Ruach HaKodesh, now and throughout all ages, world without end.